Chantal Bellehumeur’s Just. Another. Common. 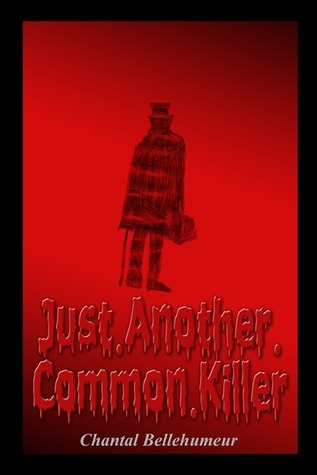 Killer is unlike anything you will have read before. This meticulously researched story gives the average reader a real insight into the historical killings of Jack the Ripper, and the myths that surrounded him as he became a legend. The reader is exposed to the many theories of just who Jack the Ripper really was, and Bellehumeur makes a convincing argument for her own conclusion. Bellehumeur’s narrative takes us on a harrowing journey of graphic murder, insanity and, ultimately, escape. Her protagonist, Jack, finds himself as the modern day re-incarnation of the Victorian serial killer. We follow Jack from his childhood, through his crimes and escalating violence, to the shocking truth about his birth father, to the depths of his depravity. His psyche is explored, and even the most ardent fan of crime and horror may find it difficult to read on. Balancing this, we see Jack’s ‘Jekyll and Hyde’ persona emerge, and how easy it is for him to hide in plain sight. This chilling reflection applies as much today as it did in the 1800’s. The reader is left wondering just how many others have escaped justice over the years, and still walk amongst us?